2015 My Kitchen Rules contestants Sheri and Emilie sit down with The Guide editor Seanna Cronin. 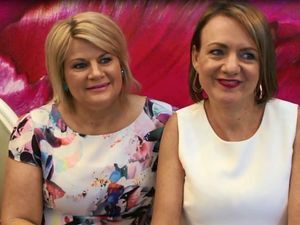 TV MOUNT Isa's Jac and Shaz are the first team to cook on Monday's season six premiere. Also competing on the show are Toowoomba mates Sheri and Emilie. TV THE new season of My Kitchen Rules is the “friendliest” of them all, according to co-host Pete Evans.